These Carter’s brand long sleeve onesies are 100% cotton. 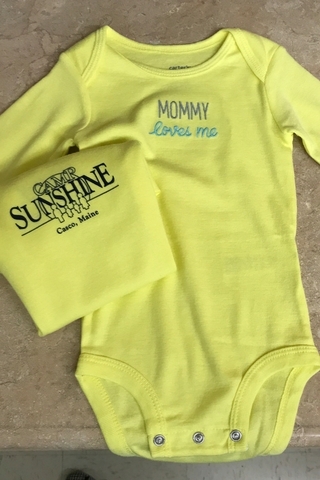 The front of this onesie says “Mommy loves me” and the back has the Camp Sunshine logo. 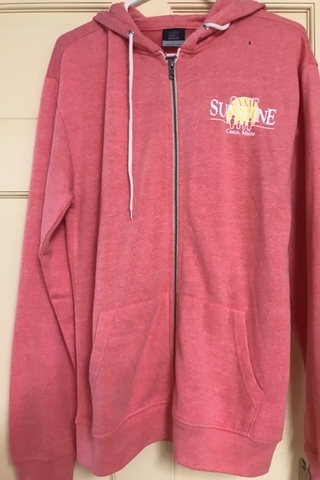 This faded pink zip-up hoodie is dyed and cut to have a slightly rustic look. 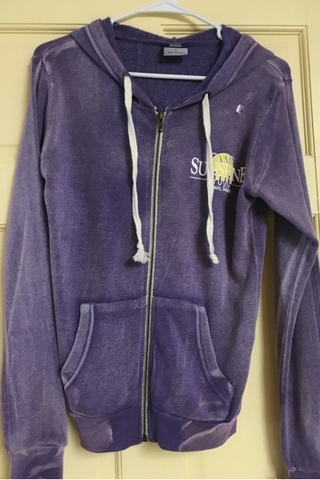 55% cotton, 45% polyester. The shade of pink is called "Nantucket Red." 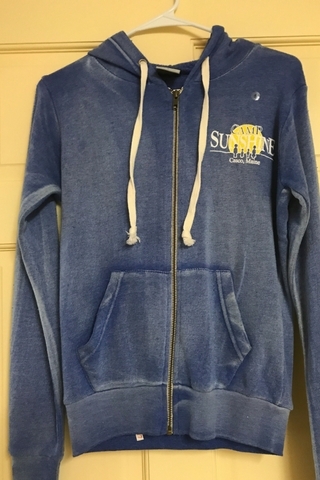 This faded blue zip-up hoodie is dyed and cut to have a slightly rustic look. 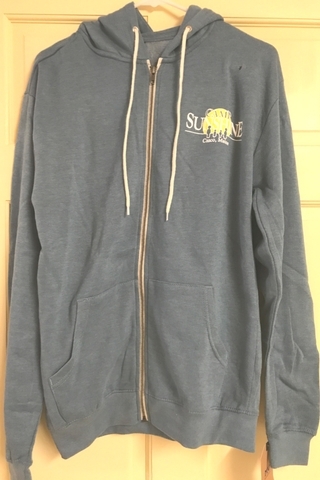 55% cotton, 45% polyester.